For years, reef keeping hobbyists have been preaching about how detrimental direct water flow was in an aquarium full of corals. While most of the arguments seem perfectly reasonable, e.g. coral tissue damage due to high volume direct water flow, Tunze recently wrote about how the aquarium can actually benefit from direct flow. 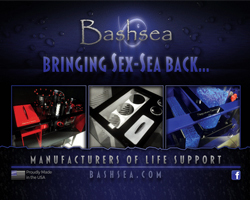 As any aquarium keeper worth his weight in salt knows, water flow is crucial. This notion usually drives hobbyists to cram their tanks full of water pumps in an attempt to get the highest amount water flow possible, just short of creating unsightly sand storms. But as Tunze points out, it’s not the amount of flow, rather the quality of the flow that’s important. And to determine what type or quality of flow that is needed, we as hobbyists need to look at what time of reef zone we are trying to recreate and what is best for detritus removal in our tanks. The direct water flow provided by a propeller-based water pump is a little bit misleading. When we think of direct water flow, the impeller pumps with the narrow outlets usually come to mind first. However, the flow emitted by propeller based pumps is far more widespread and does a better job of recreating natural flow movements. 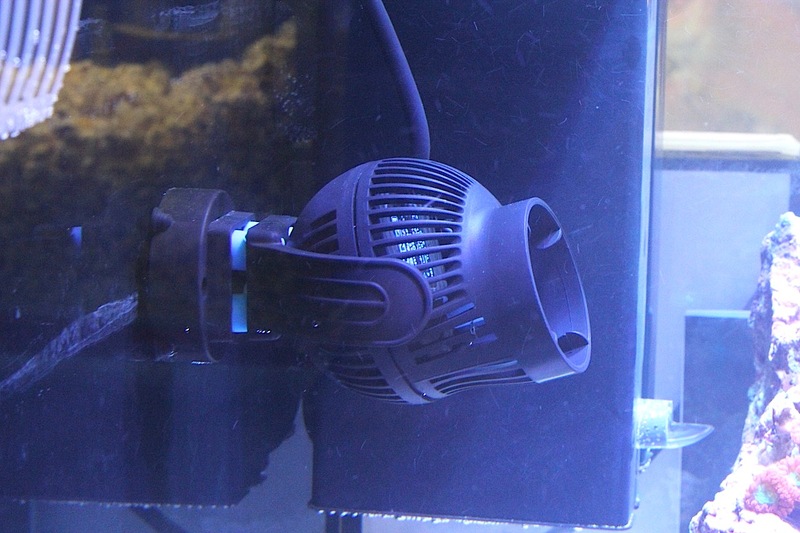 Because of this, the outlets of these pumps can be aimed directly at the main reef structure within the aquarium without fear of causing coral tissue damage. Of course, this isn’t a universal truth, but the flow spread allows it to happen in most applications. This means aquarium keepers don’t have to point the pumps toward the glass, which is a technique that robs flow from the corals in favor of bouncing an even gentler flow off the sides of the tank. Using this type of flow allows detritus to build up in the rocks and at the base of the corals, which in turn causes an increase in dissolved nutrients and a likely decline in coral health. To keep the water moving around the base of the corals, point the powerheads more toward the reef. And if you think about how the corals are situated on a reef or its edge in the wild, the water moving around them can be extremely intense and uni-directional. Besides improved coral health and water quality, direct water flow can also cause the corals to grow with a more natural look. Most hard corals in the home reef tank are thinly branched and spread out. If you’ve ever seen a reef crest, the hard corals are typically growing in a very dense structure. The branches are short and thick, and many have been fused together to form a plate. While not every hard coral exhibits this pattern, wild corals by and large have thicker branches than their aquarium counterparts. Corals in both nature and at home will grow ever which direction, stopping only where the water flow is too strong. This shapes the coral and usually causes a more dense growth. Obviously the look of a coral’s growth is a somewhat of a personal choice, but the health benefits involved with direct water flow far outweigh the aesthetics.